With only one shot at creating an iconic World Cup advert every four years, brands must get it right to stand out. We’re twenty years on from THAT iconic World Cup advert by Nike that hit the mark, but saw Ronaldo hit the post, and before we head to Russia we’ve reviewed this year’s top five World Cup adverts. Noise is loud and to cut through, campaigns have to be spectacular and disruptive. Brands have often struggled to crack this nut in the past and wasted an opportunity, however with budgets higher than ever, that’s helped to buy a few nut crackers. From adidas to Beats by Dre, here’s who has stolen my footballing heart and given me goosebumps ahead of this summer’s World Cup! Maradona, Cafu, Effenberg, Del Bosque? This year, major online betting company, BWIN, asks ‘Who stole the cup?’. By combining a mix of World Cup legends, BWIN has revived the age-old story and given it a modern twist. Painting the legends in a villainous light with each of their own plans to steal the trophy, it left the ad on a cliff hanger, asking you the audience to head over to its site to vote for who you thought stole the cup! Encompassing a moment that we’ve ALL experienced before, Coca-Cola reminds fans to get ready for kick-off and grab a coke with this year’s World Cup advert. Making a bizarre cameo, Jason Derulo heads up the campaign by running to the shop mid-game when he finds out his fridge is empty. Surprise surprise, as soon as he gets to the shop… they score! We’ve all been there, whether it’s the call of nature, the front door or the fridge, we’ve all missed that goal. Twenty years on, Nike has paid tribute to its Brazilian advert with a 21st century spin that recreates that famous airport scene. With the opening sequence of modern day stars such as Coutinho and Willian nutmegging each other in the changing rooms they quickly take the story to the streets where it all began. Harnessing the power of social media and how it influences the youth of Brazil, the passion is exactly the same. If there was a highly commended award, this advert would win it. But there’s not, so adidas will have to settle with scoring second place in my incredibly prestigious rankings. Imagine every ‘creator’ you could possibly think of, get them all in one room, and hit record. This ad doesn’t necessarily give off that World Cup vibe, but it’s jam packed full of the biggest names in world football along with stars such as Pharrell, Karlie Kloss, Von Miller and Usain Bolt. Narrated by rapper, A$AP Ferg, the message of ‘creativity is the answer, now over to you’ is apparent throughout and if this doesn’t inspire you to create, I don’t know what will! And the winner is Beats by Dre. With its inspiring story of a young Russian prodigy called Andre, told through the medium of a mixtape and directed by Guy Ritchie, Andre battles off local Russian bullies in the introduction and then the story begins. Flying from Russia to London, Germany, France and Paris, they tell the story of four superstar footballers who are due to impress in this year’s World Cup. Finishing by linking back to Andre - the future of Russian football. By giving you those feel good vibes, this makes your hairs stand on end and starts your countdown clock to the first game in Moscow. So that’s it! 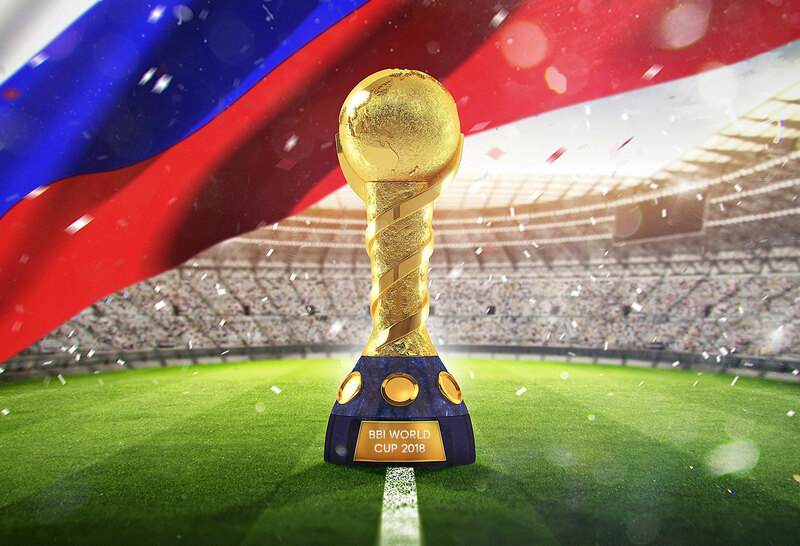 My top five adverts for the World Cup 2018, and if you’re not as excited as I am, then I’m not surprised, because it’s pretty difficult to be more excited than me right now.